Das amerikanische "AUDIO magazine" verwirrt uns Deutsche durch die Namensgleichheit mit dem deutschen Hifi-Magazin "AUDIO". Doch das amerikanische "AUDIO magazine" gab es schon Jahrzehnte früher. "AUDIO" zusammen mit "High-Fidelity" und "Stereo Review" gibt uns einen wunderbaren Einblick in den größten Hifi-Markt der Welt. In 1959 gehts richtig los. Bei 240 Milionen Einwohnern - auf 3 Zeitzonen verteilt - spiegelt das einen Markt wieder, auf dem die eigentliche Hifi-Geschichte geschrieben wurde. Ein Blick in die edlen Wohnzimmer der oberen 100.000 (= Hunderttausend !! - also nicht unserer "oberen Zehntausend") kommt immer wieder vor. Auch ein historischer (Ein-) Blick auf und in die alten Gebäude, die damaligen Studios und die lustigen US-Büros und Werkstätten der US-Sender und Hersteller ist für uns historisch erhellend und erfreulich informativ. Der Beginn des US-"AUDIO" Magazins ist anfänglich etwas verwirrend und unklar. Jeder fängt mal klein an, manche eben auch mit der Ausgabe Nummer 5. Da jedoch in der AUDIO-Ausgabe vom Mai 1957 von dem 10-jährigen Bestehen des Magazins "AUDIO" getönt wird, wird die Mai-Ausgabe 1947 wirklich die erste Ausgabe gewesen sein. Später wird auch nicht mehr auf die angebliche Erstausgabe eines Vorläufer-Magazins "RADIO Journal" in 1917 (Bild rechts) hingewiesen. Das war also die letzte Ausgabe des "RADIO magazine" unter dem alten Namen im Februar März 1947. So gut wie alle amerikanischen Redaktion bzw. die amerikanischen Verlage haben schon gemerkt, da hatte sich ab 1946 etwas verändert nach dem (gewonnenen) Krieg gegen Deutschland und Japan. Blättert man dieses Magazin und auch andere diverse Zeitschriften- Ausgaben von Anfang 1946 bis März 1947 nochmal gemächlich chronologisch durch, fällt auf, es sind alles "überflüssige" - weil viel zu hochtechnische - Artikel, die die Masse der (verbliebenen) Leser gar nicht mehr verstehen konnte. "Dear Subscribers" - "Liebe Abonnenten" . . . . Recently we sent you an announcement of a change in editorial slant of (our) "RADIO magazine", to take effect with our May, 1947 issue. We pointed out, that the industry is becoming so highly specialised that groups engaged in one branch of the radio-electronic field often find little interest in the other widely differing branches. The one branch of the industry which is of common interest to all groups in such diverse fields as transmitter and receiver manufacturing, sound on film, public address, broadcasting, and industrial sound, is audio engineering. Because there has been no technical magazine devoted solely to this field, all engineers interested in audio engineering have had to gather piecemeal, from a large number of sources, such information on the subject as is published. RADIO magazine to AUDIO ENGINEERING. The first issue incorporating these changes will be released late in April, The magazine's format will be radically new, enlarged, and the articles will be attractively presented and easy to read, besides being authoritative. Our decision to specialize in audio engineering has aroused tremendous interest among engineers prominent in the field. Co-operating with the editorial staff are such well known authorities as Howard A. Chinn, chief audio engineer, Columbia Broadcasting System (CBS), Dr. Richard P. Bolt, director, Acoustic Laboratories, Massachusetts Institute of Technology (das ist das berühmte MIT), John D. Colvin, American Broadcasting Company (ABC), George Nixon, National Broadcasting Company (NBC), and Joseph P. Maxfield, authority on sound engineering, Bell Telephone Labs. All will contribute articles to AUDIO ENGINEERING. Your present subscription to RADIO was entered at $3.00 for one year or $5.00 for two years. AUDIO ENGINEERING subscriptions will be accepted at the same rate. You will receive a copy of the first issue of AUDIO ENGINEERING. If you do not find it acceptable in place of RADIO, we will make a cash refund for the unexpired balance of your subscription to RADIO. Harry N. Reizes - Adv. Mgr. David Saltman - Adv. Prod. Mgr. Im Text auf Seite 3 nocheinmal das "ANNOUNCEMENT"
As stated in our letter reproduced on the inside cover of this issue, "RADIO magazine" will henceforth appear under the new title, "AUDIO ENGINEERING". To prepare for the change, which involves preparation of special articles, a larger format and more attractive layout, we have combined the February and March issues of RADIO. Although the first issue of AUDIO ENGINEERING will appear at about the same time as the April issue of RADIO is normally mailed, it will be dated May (1947). Each subscriber will have his subscription extended two months to make up for these changes. We shall welcome your comments about AUDIO ENGINEERING. A question-and-answer column will be a regular feature of the magazine, and you are invited to take full advantage of this opportunity to bring your audio engineering problems to our board of well-known authorities. Questions of general interest will be published with our answers. Your name or affiliation will be withheld if you so desire. In any event, all letters will be answered as soon as possible, so that you will not have to wait until our reply is published. Many outstanding articles are already scheduled for AUDIO ENGINEERING. For example. Howard A. Chinn writes about magnetic tape recording, Joseph P. Maxfield on microphone placement, Norman C. Pickering on high-quality phonograph pickups, John B. Colvin on audio systems in FM broadcasting, Samuel Milborne on industrial sound, Grieveson and Wiggins on a comparative db meter which greatly simplifies microphorte calibration, and many others of similar high caliber. Reviews and abstracts of audio engineering articles appearing in foreign publications will be a special feature of each issue. Also, our regular practice of including a chart to simplify design problems in audio engineering will be continued. In addition, many new features will be added which will be announced later. Hier lesen wir erstmalig, es sei das Vol. 31 mit No. 3 - established in 1917. Darüber hatte ich anfänglich noch nichts gefunden, was oder wer denn der Vorgänger dieses Magazins gewesen war. Es hatte eben etwas gedauert. Warum nach der alten Nr. 2/3 jetzt die Nummer 5 kommt, ist sicher auf die redaktionelle neue Ausrichtung zurückzuführen. Wie mir Karl Breh von der deutschen Hifi-Stereophonie erzählte, waren manche notwendigen Veränderungen nicht so leicht zu schultern, wie es nachher aussah. Norman Pickering testing his new pickup and (lower photo) Western Electric control consoles in operation at radiostation WOR. As announced in the February-March 1947 issue of Radio, we have decided to devote the editorial content of this magazine to the sadly neglected audio engineering field, and we want to take this opportunity to welcome the thousands of new readers who have joined our group. This is your magazine, and we invite your comments and recommendations. Our editorial advisory board is composed of top-flight experts in the sound engineering field. If you have problems which they can help you solve, they shall be glad to be of service. AUDIO ENGINEERING will present articles, charts, and news concerning developments in sound engineering as it relates to commercial broadcasting, transmitter and receiver manufacturing, sound-on-film equipment, recording (disc, wire, and tape), public address, industrial sound, and acoustics. We are concentrating on thoroughly practical articles, avoiding highly mathematical presentations unless they are of vital importance and indispensable to the discussion. Because so little attention has been devoted to recording, we are placing particular editorial emphasis on this subject. No comprehensive engineering treatise on tbis subject has been published in the past thirty years, and very little text has appeared in any engineering journal. This branch of the industry is in sad need of standardization; different makes of records do not have the same cross-over frequencies, the degree of pre-emphasis at the higher frequencies varies, groove depth is not always the same, and there are still other factors which affect reproduction upon which no standards have been selected. Therefore, even the best reproducing equipment cannot give equally satisfactory results with all makes of records. By offering this magazine as a forum for the interchange of ideas, we hope to be able to contribute in some measure to eventual standardization of these varying techniques. Another feature, unique in a technical magazine, is the page on which records are reviewed. The author, Mr. Canby, also reviews records for the Saturday Review of Literature, but as you will note, he approaches his topic from a more technical viewpoint in his presentations here. Because so many of our readers are record fans after hours, and because those who are professionally engaged in broadcasting may find the recommendations helpful, we feel that this special monthly feature will be of considerable interest. Anmerkung : Bei der Recherche nach dem Verbleib von vielen Hifi-Publikationen ist immer wieder der Schwund an Anzeigenkunden (Inserenten) aufgefallen. Die Zahlen der gedruckten und/oder verbreiteten Auflage oder gar der Abonnenten wurde in den letzen Monaten des Erscheinens stets verschwiegen. Hier ist die Liste der Inserenten auch stetig "übersichtlicher" geworden. Es war demnach der Versuch, den schleichenden Niedergang abzuwenden. In den nächsten Jahren der AUDIO ist diese Anzahl ganz langsam wieder gestiegen. No discussion of AUDIO ENGINEERING gets very far before the matter of fidelity is brought up. Because this point is so highly controversial, a numl)er of articles on this subject are scheduled for early publication. These will include results of listener preference tests conducted in England, as well as in this country. Perhaps we may be jumping the gun, and perhaps some members of our editorial board will not agree with the writer, but we do believe that some of the tests which indicate that listeners prefer a medium band to a wide frequency range merely show that there is something wrong with the reproducing equipment or measuring technique. It seems inconceivable that those who listen to and enjoy "live" orchestral presentations should prefer to hear reproduced music in which some of the frequencies present in the original are suppressed. Ir is claimed that the binaural effect present in live music may be one reason; this may be so. But there is no adequate proof. On the contrary, at one recent demonstration of binaural reproduction, we understand that the presentation went on for eleven minutes be tore it was discovered that one of the two sound tracks was not operating, due to a defective exciter lamp. One interesting listener preference test conducted in England showed initially that the majority preferred a medium frequency range rather than the full range. But when these comparison tests were repeated many times with the same group of listeners, eventually they grew to prefer the wider frequency range. In any event, it is apparent that this is no subject on which snap judgments can be made. And, further, that there is a very great need for a thorough and impartial investigation of the entire question. Das hier sei das Vol. 31 mit No. 6 - established in 1917. Darüber hatte ich anfänglich noch nichts gefunden, was oder wer denn der Vorgänger dieses Magazins war. Das alles kam erst in 2019 !!! Von dieser Juni 1947 Ausgabe haben wir kein Titelbild, es war in dem PDF nicht enthalten. Gedruckte Ausgaben scheint es sowieso keine mehr zu geben oder sehr verborgen in irgendwelchen Archiven. Operator at sound console in display room at the Camden plant of the "Radio Corporation of America". This sound system is used to bring music to workers on the job, to broadcast special announcements and to page employees. In dem "EDITOR'S REPORT" wird voller Stolz auf eine Erwähnung in der New York Times hingewiesen. Leider ist die abgedruckte Seite schräg eingestellt und so klein, daß der Text händisch abgetippt werden müsste. The story in "Time magazine" about S. Young While's article in our May issue evoked' such a landslide of letters that Time's publisher ran the interesting letter reproduced on this page. We are happy to learn that this article had so much reader interest, and proud that it was picked up by Time, our favorite magazine. Our special thanks to Jonathan Norton Leonard, Time's brilliant Science editor, for his sparkling rewrite of White's story. Hier fehlt das Bild von dem Artikel im "TIME" Magazin. In our next issue, Winston Wells will start a series of articles on electronic musical instruments. For a long time, there has been a need for such a series, and we feel fortunate in obtaining such a thorough coverage of the subject by one who has specialized in electronic organ design for many years. Im August 1947 war ein 10 Watt (Mono-) Verstärker noch ein Wunderwerk. Wieviel von den angepriesenen 10 Watt nach unseren deutschen DIN 45500 Messmethoden wirklich übrig geblieben wäre, sei ma dahingestellt. Making a ringer test in the soundproof room at Bell Telephone Labs at Murray Hill, N.J.
• For several weeks we have had on hand four excellent articles on listener preference tests, one of the best of which is presented in this issue. In addition, many others have written in, offering to submit articles on this subject. Under the circumstances, please, if you feel like writing on this subject, confine your comments to a letter. We do want contributions, though, particularly on recording and p.a. (Anmerkung : public address snd Beschallungsnalagen), so if there is anything along these lines which you feel would be interesting to others, let's hear from you. • In discussing high-fidelity reproduction of orchestral music, our standard is usually the original performance of the orchestra. Highest fidelity is achieved when the listener in his home feels that the is actually seated in the concert hall. But our real standard should be the composer's original score, which the conductor of the orchestra reads. If the music is to sound as the composer intended it, then the performance of the orchestra must faithfully follow the composer's score. No orchestral rendition can sound as the composer chose unless it is played at the pitch for which it was written. Because standards of pitch now used differ from those in effect during the early part of the 19th century, the works of Beethoven and other classical composers are no longer played at the proper pitch. In 1813, the standard pitch for middle "A" was 1847 vibrations per second, corresponding to 423.5 cycles per second in our terminology. Some conductors started to use slightly higher pitches and gradually this practice spread. By 1846, the London Philharmonic had raised their "A" to 425.5 cycles. In this country, the pitch was often even higher, wobbling with the heat, the humidity, and the disposition of the oboeist (who sounds "A" in all orchestras). Thus the international standard pitch of "A" = 435 cycles, at 59° F, which was established in France in 1859, was usually ignored by orchestras. Even when the orchestra pitch was fixed at 440 cycles, many orchestras in Russia, England, and in this country used 445 cycles and more. Finally, in 1945, the French proposed to raise the international standard pitch to 440 cycles provided those who were using an orchestral pitch of 445 cycles or higher would come down to 440. Up to the present time, nothing seems to have come from this proposal. Many conductors feel that higher pitches make for more "brilliant" renditions. Under the circumstances, it is apparent that those who listen to classical orchestral compositions of the earlv 19th century cannot hear them as the composer desired. If the change of pitch makes so much difference as the trend seems to indicate, then it would be well worth while for broadcast and recording studios to require that such classics he played in the pitch used by the composer. If programs were selected so that only music of the same period was presented at the same time, it would be unnecessary to change the pitch until the whole program was changed. This is a small step toward more faithful reproduction, but it is one which is easily taken. It may seem inconsistent to advocate abandonment of standardiza tioit of a pitch frequency, when the broadcasting and recording industries are so greatly in need of fixed standards, but most certainly we should not sacrifice valuable esthetic qualities for the sake of pitch-frequency standardization. And there is no good reason why the standard orchestra pitch should not he retained for all present-day musical compositions. It would be most interesting to see how this works out. • The National Association of Broadcasters will hold their annual Convention and Exposition in Atlantic City. N.J. September 15th to 18th 1947, inclusive. There will be many interesting exhibits and technical papers presented. Our organization has taken a booth, and we hope to see vou there. Hier sehen sie die bis dahin typischen amerikanischen Tonaufnahmen auf sogenannte Laquer discs, auf Schneidfolien. Das Magnetophon Bandgerät hatten die Amerikaner regelrecht verschlafen und wollten auch nicht so recht ran. Doch das ist eine sehr eigene (von Ampex lancierte) Legende, die aber vorne und hinten große Löcher bekommen hatte. So viel hatte schon damals nicht gestimmt. Rear view of Broadcast Recorder's new mobile broadcasting unit, showing recording machines, amplifiers, and table microphone in foreground. Chief engineer Joe E. Otis is using apparatus. JUST the other day, one of the most prominent broadcast engineers remarked, that our magazine had brought to him a realization that there is a great deal more to audio engineering than he had formerly thought. This is quite understandable, because so little about the audio field is published elsewhere. The r-f men have been the glamor boys of the radio-electronic industry. It is their work which has received such disproportionate emphasis in both radio and general publications. Their accomplishments in making radio waves lie down, roll over, and bounce around have been oh'd and ah'd by the general public as well as the engineering professions. But anyone who listens to an unmodulated radio wave gets awfully bored in a very short time. Nothing so forcefully points up the fact that an unmodulated wave is a "carrier" (die Trägerfrequenz), and nothing more. Insofar as the broadcasting industry is concerned, the audio man has by far the toughest job. He must pick up sound, often under the most adverse circumstances, compress it within the dynamic range limitations of the r-f transmitter, keep distortion of all kinds to a negligible level, hold the esthetic qualities of symphonic music, and bear the criticism of tin-eared listeners using poor radio receivers. The audio man is the unsung hero of the broadcasting industry. On my desk before me is a program of the forthcoming National Electronics Conference, to be held in Chicago, Nov. 3, 4, and 5 (1947) inclusive. This Conference is sponsored by the Illinois Institute of Technology, Northwestern University, the University of Illinois, the American Institute of Electrical Engineers, and the Institute of Radio Engineers — all in co-operation with the Chicago Technical Societies Council. Of the 74 technical papers scheduled for presentation, only two are within the audio engineering field. H. H. Scott will again discuss his dynamic noise suppressor, presenting, we understand, a more detailed description of this useful device. The only other paper is by Warren and Hewlett, and deals with intermodulation tests. Fortunately for those who want to get in and get out as quickly as possible, these two papers are the first to be presented. The program then veers off into a hodge-podge of instrumentation, microwave technique, nuclear physics, general electronics, and basic science, finally getting around to television and FM on the last day. Most of these lectures are so highly specialized that those of interest to one group can have little appeal to others. If all discussions which deal with radio were subdivided into their proper categories and presented consecutively, the Conference would render a far greater service to those busy engineers who must travel appreciable distances to attend, and who have no time to waste. As it now stands, studies of nuclear reactions, the dynamic properties of the infra-red cesium arc, and scintillation counters, are sandwiched in between lectures on microwave technique, FM, and television broadcasting. Just how the I.R.E. can justify its sponsorship of this program is difficult to understand. The Rochester Fall Meeting of the I.R.E., which follows right on the heels of this Chicago affair, is devoted entirely to radio and is always well attended. There is no earthly reason why Chicago shouldn't be able to offer a similar program — and audio, too, if you please — without including a dose of physics. Since our first issue in May, Audio Engineering has enjoyed the most phenomenal growth in circulation of any journal in the radio-electronic field. A circulation audit during August showed that our paid circulation (die verkaufte Auflage) had nearly reached 10.000 — almost double that of the first issue — and is growing at an even faster rate. Because we employ no subscription salesmen, circulation promotion concerns, or cut-rate offers to stimulate circulation, this growth must be due largely to the support given us by our readers. Let me take this opportunity to thank you one and all for your co-operation. It makes it easier for us to give you a better magazine. To improve our service on the West Coast, Harry L. Bryant, Chief Engineer of Radio Recorders, will report on audio engineering developments in the Hollywood area. In October, Joseph P. Maxfield of our editorial advisory board will also establish himself in Hollywood as a consultant, and will contribute regularly to our magazine. Forthcoming articles include one on the Magnetophon, studio model, about which there has heretofore been little written. A new principle in pick-up design is discussed by another writer. A complete series of p-a articles will start in the next issue. Hier kommt ein erster Artikel über das Magnetophon R22A aus Germany. Es ist interessant, wie ein Amerikaner darüber denkt und schreibt. An experimental studio of the CBS-Columbia Broadcasting System showing the acoustical treatment ol the walls. The walls are lined with wooden panels, known as "acoustivanes" which extend from Floor to ceiling. The panels may be rotated and when closed form a continuous sound-diffusing waII surface. With the panels in the open position, a sound absorbing outer wall is exposed. Control of the reverberation and sound diffusing properties of the studio is thereby made possible. • When we think of religious worship among the Moslems, somehow we envision ancient traditions with ancient trimmings. Thus it comes somewhat as a shock to learn that, for the past ten years, many mosques and minarets have heen wired for sound. In a letter published in a recent issue of Time magazine, the former manager of Philips Orient explains how it came about. Naturally there was considerable opposition to the idea among the more conservative muezzins (Moslem priests), who wanted to adhere strictly to the letter of the teachings. But a highly respected Moslem, the Hector of El Ashar University in Egypt, thought differently. So the equipment was installed. When we come to realize how arduous the duties of the muezzins are, the advantages of public address become even more impressive. Devout Moslems go to prayer five times a day, starting at sunrise. Before p.a., each muezzin had to climb the stairs to the top of the minaret to lead the faithful in prayer. Now, he simply uses a mike installed at the base. Those designers and manufacturers who may feel that tradition and prejudice may constrict their foreign markets can take heart from this illustration. • We are indebted to Benjamin Drisko for the priceless expression which heads this paragraph. And, insofar as many audio fans are concerned, the term certainly fits. How often do we find people who buy every new speaker or pickup as soon as it appears on the market with the fond hope that faults which they notice in their equipment are thus going to be corrected! And then, when they find that no improvement results, they condemn the product. Yet the new product generally is an improvement. Just how this comes about may not be immediately evident, but let us consider, for example, the loudspeaker. If we substitute a new one with a more extended frequency range for one which has been used, naturally it will bring out with greater emphasis portions of the frequency spectrum, which were formerly attenuated. Now, if the equipment feeding the loudspeaker tended to distort these portions of the spectrum, the new loudspeaker would simply emphasize these faults. Again, it is obviously possible for a poorly recorded selection to sound better when reproduced by inferior equipment than by apparatus which brings out everything in the record, good or bad. And, in addition, each of us has individual likes and dislikes regarding the kind of reception, as well as the kind of music, we prefer. Getting a conglomeration of equipment, even the best, will not perforce provide us with satisfactory reception under all conditions. Along with it must go some means of controlling the frequency response, some care in selecting the surroundings in which the equipment is to he used, and at leasta dash of tolerance. "... Has it ever occurred to you that just as the owner of a $19.95 squawk box adjusts his volume control to the optimum compromise between realistic levels and distortion, the broadcasters over a period of years have equally carefully if unwittingly evolved the particular type of program which suffers least when reproduced on said $19.95 squawk box? In other words, maybe the reason why we have so many variety programs and so little good music is because the receiving set manufacturers have failed to give us adequate listening equipment." We believe there is much to be said for Mr. Drisko's viewpoint. And, by the same token, those sponsors who want to get and hold the attention of people who own and appreciate fine radio equipment should give some thought to the quality, as well as the character, of program which they present. • Prize remark of the year was made by Chairman Denny of the FCC. Faced by a large audience of hostile broadcast station executives, and with his back to the Atlantic Ocean, he brought down the house by saying he was "between the devil and the deep blue sea." Ein typisches Schneid-Studio mit jeder Menge amerikanischer Schneidemaschinen. Presto 8-D Recorders in operation at the Empire Broadcasting Corporation in New York City. • ON WEDNESDAY morning, November fifth (1947), we put this issue to bed. It hadn't gone too smoothly; Winston Wells was still too ill to complete the scheduled installment of his series on electronic organs, and illustrations for another article had become stymied in Washington. But out of the Golden West had come the first of an excellent series on magnetic tape recording, by Dr. Wetzel, as well as Professor Morrical's fine story on mixer networks. "Die Story mit dem Noise Supressor"
It was a good issue, but we weren't altogether happy. We wanted to run a story about a new noise suppressor, but the engineer was taken off the job to complete some other work. We had tried to get the technical data on the H.H. Scott suppressor, but Mr. Scott had made other commitments. We could, of course, report the lecture to be given by him at the National Electronics Conference, later in the month, but getting complete diagrams would be out of the question. So we closed the issue without a noise suppressor story. Two hours later, a friend phoned, "I was talking to John Goodell in Saint Paul just a few minutes ago, and he says he's planning to do a story on the H.H. Scott Dynamic Noise Suppressor, which he is manufacturing." Ten minutes later the long-distance operator got my call through to John in Saint Paul. "But," he said, "if I do write this story for you, how long will it be before it is published?" If he didn't mind writing all night, and could get the complete story to me in three days, I told him, I would break open the current issue and run it as a lead. "Saint Paul erstickt bzw. erblindet in einem Schneesturm." Two days later, he phoned me. The article was ready, he said, but Saint Paul was being blanketed by a blinding snowstorm, so no planes were flying. Trains would be too slow to meet our deadline, so what to do? But mail planes sometimes fly when passenger planes don't, so we took a chance. Die Reise (des Artikels) "dauert" 1.300 Meilen in weniger als 24 Stunden! Saturday, November eighth, the article arrived, right on schedule. Just how it got through the thirteen-hundred-mile journey in less than twenty-four hours, in the midst of a blizzard at the sending end and a sixty-mile-an-hour gale and rainstorm in New York, I'll never know, but all honor to our mail system. Es fehlten immer noch die zwei Zeichnungen. But we weren't, even then, altogether out of the woods. The two schematics which accompanied the article had to be redrawn, and one (see page 8) was rather complicated. Toget them done in time, we'd have to persuade our draftsman to work over the week-end. Early Sunday morning we drove over to his home - he has not been able to get a phone installed - catching him just as he was leaving to take over an unexpected assignment for the day as usher in a church. How he did it, I do not yet know, but the next morning one of the drawings was on my desk, completed, and the other had been scaled so we could dummy up the story. Then, from our printer in Pittsfield, Massachusetts, came word that the manuscript had been received and was being type-set. 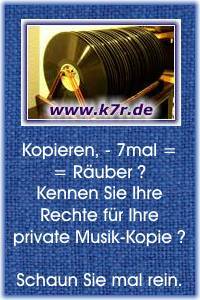 • NOW that better phonograph pickups and amplifiers are available, the need for more techinal data on records is emphasized. To use this equipment intelligently, the cross-over frequency and amount of pre-emphasis used in recording should be known to the purchaser. If this is done, then both the manufacturer and user can be assured that the record is being reproduced as well as possible with the equipment used. It is not enough simply to provide the operator with controls sufficiently flexible to accommodate all recording characteristics and to rely on his judgment to select the proper reproducing characteristics. After all, there may be a group listening, each member of which has different hearing characteristics, so that the operator's idea of what constitutes good reproduction may not coincide with that of others with better hearing. Children, especially, usually have keen hearing and it is important that they get good reproduction if they are to cultivate a taste for the best. J. H. P.
• JOHN D. GOODELL, whose excellent article on the Scott Noise Suppressor appeared in the November 1947 issue of this magazine, has written in asking us to inform our readers that the model 910A dynamic noise suppressor for broadcast station use is manufactured only by Hermon Hosmer Scott. Since the article did not so state, he has asked us to give this point special emphasis. A letter from Goodell on this subject is published in our "Letters" column. The simpler six-tube version, also described in Goodell's article, is manufactured by Goodell under license from Scott and forms a part of amplifiers and other radio apparatus produced by the Goodell organization. Goodell adds that he is now using a 6B8 input tube in the six-tube version, replacing the 6SQ7 shown in his original diagram. A revised diagram will appear next month. Complete details on the experimental noise suppressor developed by the General Engineering department of the American Broadcasting Company have just been received, so we are publishing the schematic diagram showing all parts values in this issue. See page 28. This is the noise suppressor described by John D. Colvin of ABC at the recent convention of the National Association of Broadcasters in Atlantic City. It is based on fundamental circuits developed by Dr. Harry D. Olson of RCA, which have already been published elsewhere, but this is the first practical working model with parts values to appear in any magazine. A complete article on this noise suppressor, by Charles D. Cole of the American Broadcasting Company, is scheduled for our January issue. • ONE of the most prevalent erroneous ideas is that resistance-coupled audio amplifiers make possible far better reproduction than can be obtained by using audio transformers for the purpose. In fact, some engineers who really ought to know better dream of output tubes of such low output impedance that they may be coupled directly to loudspeaker voice coils, thus eliminating the output transformer. But if we keep in mind that a radio receiver is but one link in a circuit (nur ein Modul in der Kette) which starts at the broadcasting microphone, the possible degree of improvement which may be effected in this manner becomes very small indeed, especially if the program is being picked up from some remote point. Most broadcast-type microphones employ coupling transformers to the preamplifiers which, in turn, are coupled by line transformers to voltage and power amplifiers, thence, again by transformers, to the transmitter output tubes. In the course of its peregrinations, it is not unusual for a broadcast signal to wander through possibly two hundred audio transformers before it eventually arrives, in demodulated form, at the input to the audio amplifier of a radio receiver. Thus, whether we use or do not use two or three more audio transformers in the amplifier, it can make no appreciable difference in the ultimate reproduction. Of course, the audio transformers used must be good - at least as good as those used in the broadcast system amplifiers - otherwise the fidelity of reproduction must suffer. But with good transformers, there can be no perceptible advantage insofar as fidelity of reproduction is concerned by substituting some other means of coupling. Resistance coupling is cheaper, of course, but not so reliable; otherwise the telephone companies would most certainly not invest in expensive transformers. And for those applications of audio amplifiers in which the audio signal is fed directly from a phonograph pickup, microphone, or other form of transducer, we doubt if anyone can hear the slight inevitable distortion present in good transformers. If we could, then the cumulative effect of the number used in broadcasting would make even the best radio program unbearable. • OUR Record Revue department has been taken over this month by Bertram Stanleigh, who will be a regular contributor hereafter, sharing space with Edward Tatnall Canby. Mr. Canby couldn't make the deadline this month, but his excellent column will continue regularly in the future ... Winston Wells is recovering from a long siege of illness and will shortly resume his series on the design of electronic organs ... S. Young White will be back next month with another of his outstanding articles on ultrasoncis ... George Nixon of the National Broadcasting Company has just completed an excellent article which is now being cleared for publication ... Dr. Wetzel has finished his last instalment of his series oh magnetic tape recording theory, which will appear next month ... and a Merry Christmas and Happy New Year from all of us to all of you.